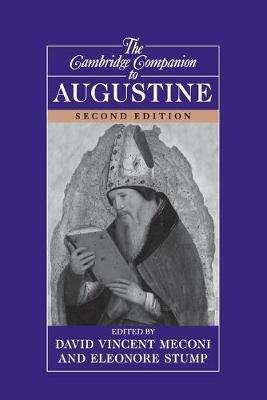 It has been over a decade since the first edition of The Cambridge Companion to Augustine was published. In that time, reflection on Augustine's life and labors has continued to bear much fruit: significant new studies into major aspects of his thinking have appeared, as well as studies of his life and times and new translations of his work. This new edition of the Companion, which replaces the earlier volume, has eleven new chapters, revised versions of others, and a comprehensive updated bibliography. It will furnish students and scholars of Augustine with a rich resource on a philosopher whose work continues to inspire discussion and debate. Introduction Eleonore Stump and David Vincent Meconi, S.J. ; Part I. The Nature of God: 1. The divine nature: being and goodness Scott MacDonald; 2. God's eternal knowledge according to Augustine John C. Cavadini; 3. Augustine on the triune life of God Lewis Ayres; Part II. God's Relation to the World: 4. Time and creation in Augustine Simo Knuuttila; 5. Augustine on evil and original sin William E. Mann; 6. Jesus Christ, the knowledge and wisdom of God Allan Fitzgerald, O.S.A. ; Part III. Human Nature: 7. The human soul: Augustine's case for soul-body dualism Bruno Niederbacher, S.J. ; 8. Augustine on knowledge Peter King; 9. Augustine on free will Eleonore Stump; Part IV. Human Excellence: 10. Augustine's ethics Timothy Chappell; 11. Augustine's doctrine of deification David Vincent Meconi, S.J. ; Part V. Political and Ecclesial Life: 12. Augustine's political philosophy Paul Weithman; 13. Heaven and the Ecclesia Perfecta in Augustine David Vincent Meconi, S.J. ; Part VI. Language and Faith: 14. Faith and reason John Peter Kenney; 15. Augustine on language Peter King; 16. Hermeneutics and reading scripture Thomas Williams; Part VII. Augustine's Legacy: 17. Augustine's legacy - success or failure? Karla Pollmann. David Vincent Meconi, S.J., is Assistant Professor in the Department of Theological Studies at Saint Louis University. His most recent books include The Confessions: Saint Augustine of Hippo (2012) and The One Christ: St Augustine's Theology of Deification (2013). Eleonore Stump is the Robert J. Henle Professor of Philosophy at Saint Louis University, where she has taught since 1992. Her books include her major study Aquinas (2003) and her extensive treatment of the problem of evil, Wandering in Darkness: Narrative and the Problem of Suffering (2010).